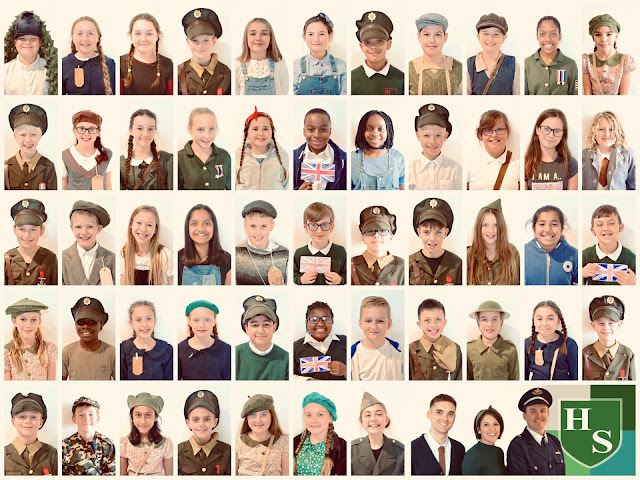 Year 6 dressed as evacuees, army officers, land girls and other characters to learn about life during World War II. Throughout the day the children took part in a carousel of activities which included wartime cookery, writing postcards home, drawing gas mask boxes and experiencing some 1940s tunes. Our whistle-stop journey through the era finished with a VE Day celebration where the children were able to sample wartime treats baked with their own fair hands - bread pudding, carrot cookies and cheese whirls - accompanied with a sing-song and signed performance of Vera Lynn's 'We'll Meet Again'. 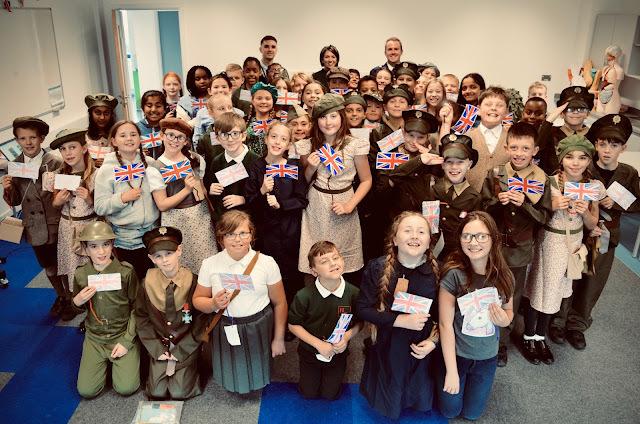 Thank you parents for providing such fantastic costumes, helping our pupils gain a greater understanding of what life was like in wartime Britain. The Provision for Hearing Impaired Children at Hacton Primary School was delighted to welcome Paul Newbury. Paul is a deaf role model who is the chairman of The Essex Deaf Children’s Society. This organisation provides help for families with D/deaf children, promoting independence, creating positive images of D/deaf children and encouraging deaf awareness within the family and the community. The presence of a role model for children is crucial for the wellbeing of a young person as they grow up; these people can inspire, provide a blueprint of how to behave and act as a source of valuable information. With this in mind, young deaf people need the presence of adults who are themselves deaf in their lives. Our children were given the the opportunity to meet a successful role model, who is profoundly deaf and whose first language is BSL. Paul initially toured our school, briefly visiting the classes with deaf children in. 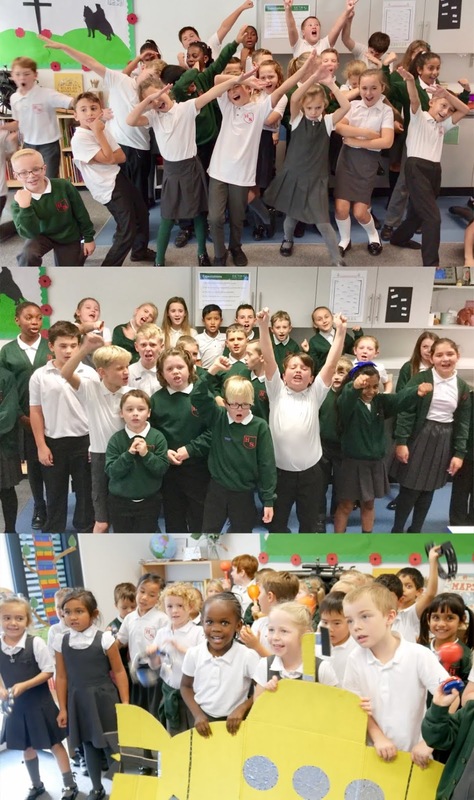 He then spent time with Mrs Norford’s Literacy group where the children shared their current written work: ‘The day the BFG visited Hacton Primary School’. Paul then meet with a group of children for 20 minutes and they had a chance to introduce themselves and discuss their hopes for Christmas presents. All children learnt some new signs and enjoyed Paul’s sense of humour. 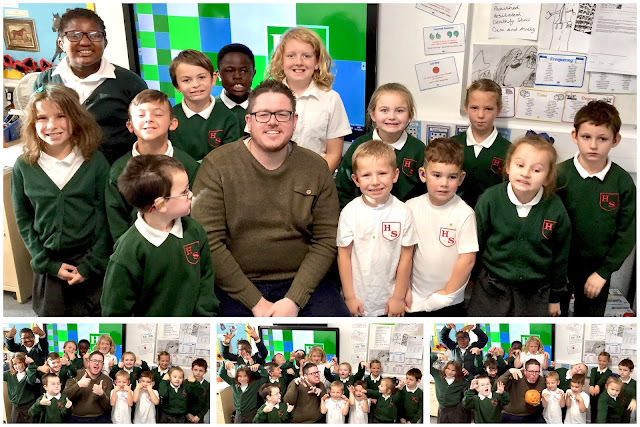 Finally, Paul visited Mr Marshall’s Maths class and spent time working with different children in the room who were learning how to accurately measure angles. 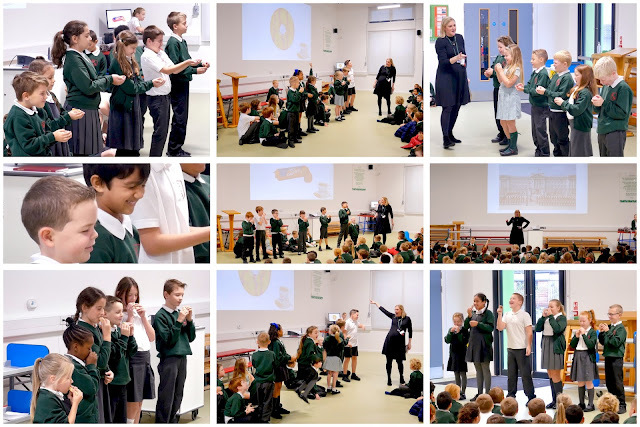 The children had the opportunity to meet a successful deaf role model and practise their communication skills, both spoken and sign language as well as lip reading. "It was nice to meet new deaf people, especially an adult so we can get help with our sign language. It was nice to show him what we’ve been doing." "I liked meeting Paul because he was funny and kind. It was nice to sign with him." "It was fabulous when he joined us in Maths. I felt shy but proud to have him in my lesson to help." 1SB have started their Maths Club by joining triangles to make new shapes. 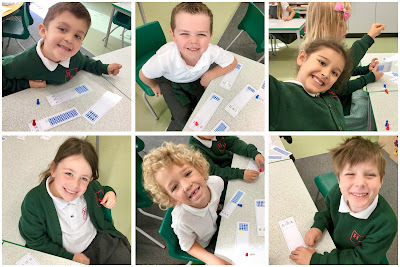 They also had lots of fun looking at tens and units and they learnt how to partition using Numicon - a teaching resource designed to help children visualise numbers. This week in our Worldly Wise assembly, we learnt about different types of volcano, how they are formed and why they erupt. Did you know that there are over 1500 active volcanoes in the world? Our very own Hacton volcano was created by Mr Marshall and Miss Hornsby using vinegar, baking soda and red food colouring. Our pupils learnt that eruptions can cause catastrophic damage and they were very excited to watch the Hacton eruption occur. Thankfully, our little volcano was a lot less destructive than the real thing. In whole school assemblies, Mr Emes challenges some of our marvellous mathematicians to a quick-fire times table quiz. Children are given 30 seconds to answer as many times table questions as possible in front of the whole school. 6 x 7? 9 x 12? 8 x 4? When the pressure is on, it takes excellent knowldege and keen concentration to become a Times Table Challenge champion. Our pupils were astonished by one of our Year 3 children when she beat even Year 6 children to achieve 24 correct answers in 30 seconds; an amazing feat! 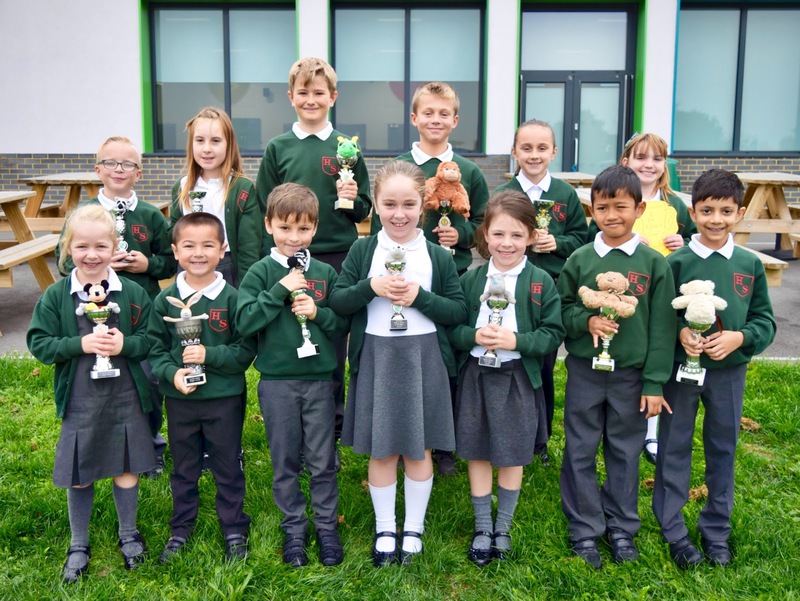 "I practice my times tables at home so I thought I had a chance of winning. I like getting good at times tables. My mum was really proud of me and we went to a restaurant after school. She bought me a drawing book as well." 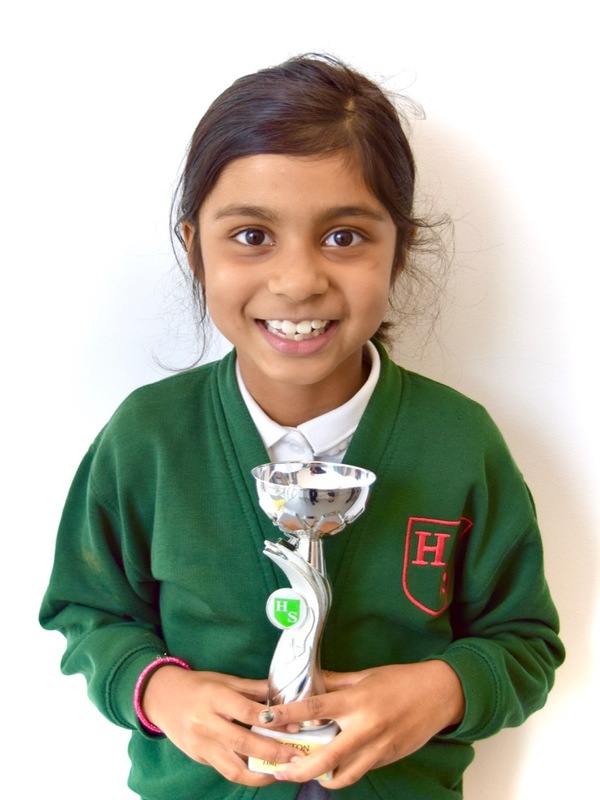 Congratulations to our reigning Times Table Challenge champion. Every week, teachers recognise pupils in their class who have made an extra effort. These pupils are presented with the E for Effort cup during our whole school assembly. 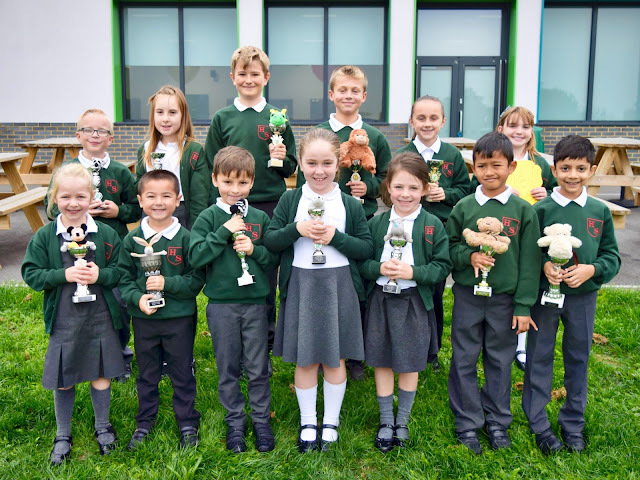 Our most recent winners were awarded their cups and certificates in the assembly before half term. 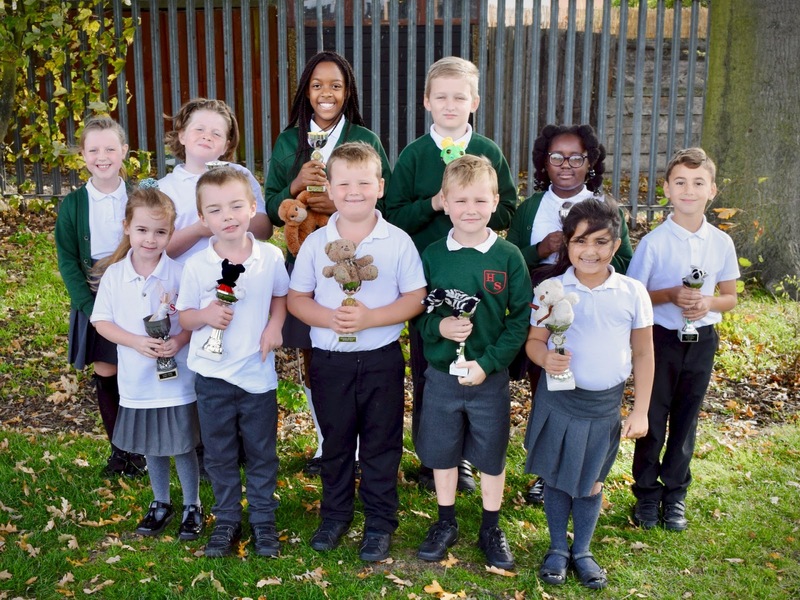 Congratulations to all the wonderful children who made an extra effort. 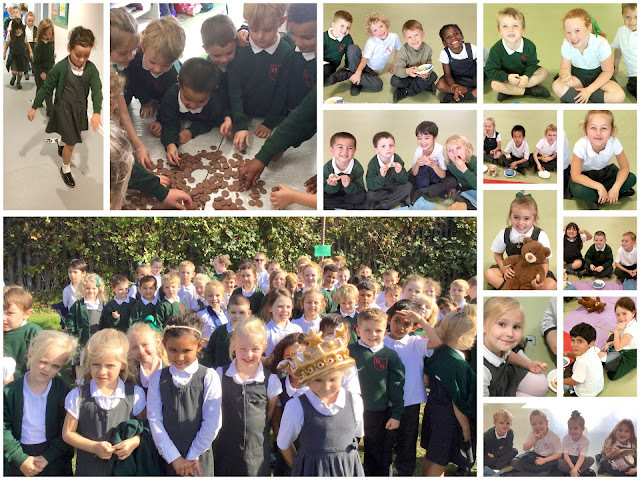 To celebrate Why Britain is Great week, children visiting Miss Blunt's class learnt about the Royal family and in particular about the Queen and her role. Our pupils were very interested in the Royal family tree and the future heirs to the throne: Charles, William and George. 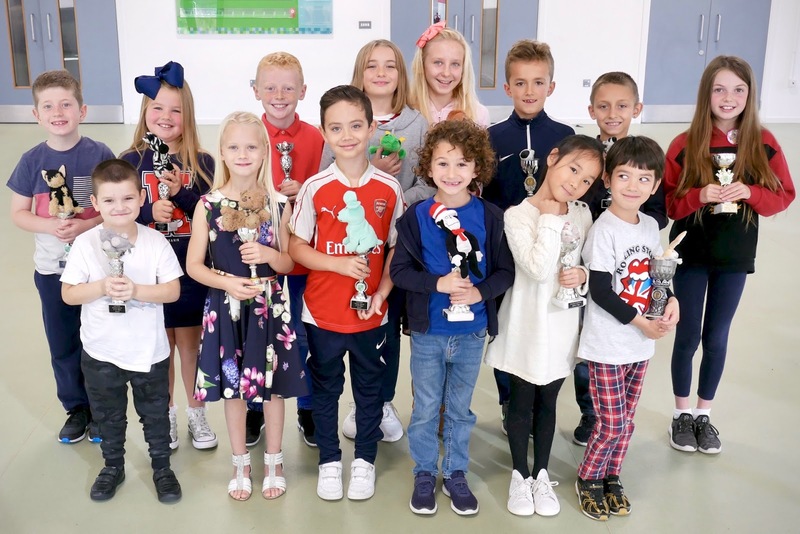 They also learnt some royal etiquette like how to address Her Majesty, how to bow and how to courtesy, as well as some fun facts: did you know that the Queen is the only person who doesn't need a driving licence to drive on UK roads? 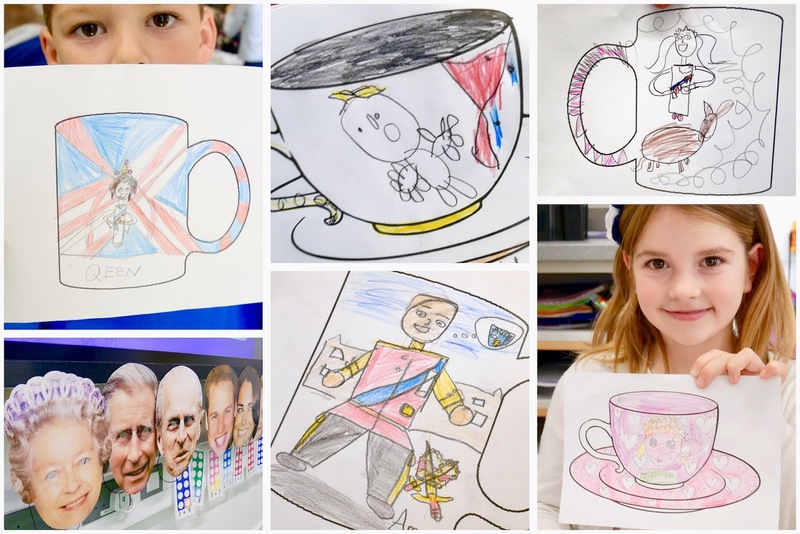 Inspired by what they had learnt, the children designed a magnificent mug or a terrific tea cup that could be sold in the Buckingham Palace gift shop. To celebrate Why Britain is Great week, our music coordinator, Miss Layzell, taught children about British musical legends. Years 1 and 2 learnt how to sing and play a percussion instrument to the much loved song Yellow Submarine by The Beatles. Years 3, 4, 5 and 6 learnt the national anthem and the rock anthem We Will Rock You by Queen. They discussed Freddie Mercury's stage charisma and tried to channel this into their performances! 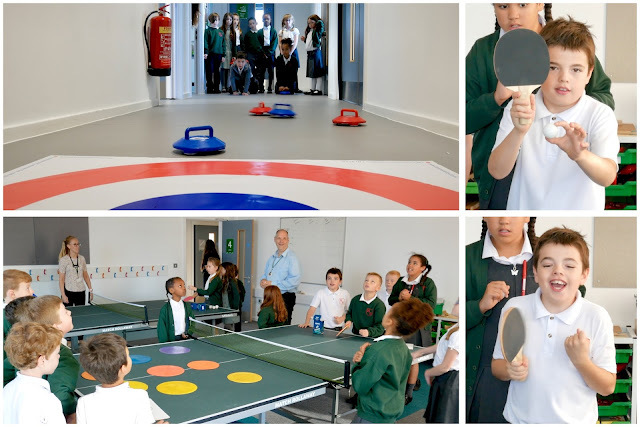 During Why Britain is Great week our pupils learnt about some different sports that were invented in our country. They tried their hand at two of them: table tennis, which begun as a parlour game in Victorian England and New Age Kurling, based on Curling which originated in Scotland over 500 years ago. 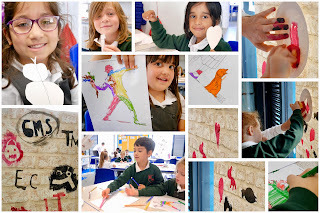 During Why Britain is Great week, children visiting 6MS learnt about the British artist Banksy. Our pupils looked at and discussed his works as well as the techniques that he used to produce his art: graffiti and stencils. After designing their own stencils, each class printed them onto their own wall'. The children were fascinated by the work Britain's most elusive artist and, inspired, they created some amazing artworks of their own! 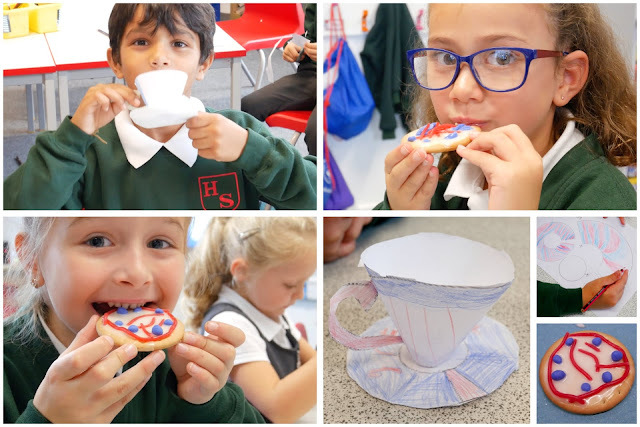 Miss Persaud led an activity that celebrated a very traditional aspect of British culture during Why Britain is Great week: afternoon tea. Children made their own model tea cups decorated with the colours of the Union Jack. Continuing the red, white and blue theme, our pupils decorated biscuits with white royal icing, strawberry laces and blue fondant icing. The activity ended with sweet smiles as children enjoyed eating their delicious British biscuits. As part of Why Britain is Great week, our pupils were introduced to a range of castles around London and asked if they could name them. These included Hampton Court Palace, the Tower of London and Windsor Castle. The children learnt about castles from 1000 years ago and those built in Tudor times. 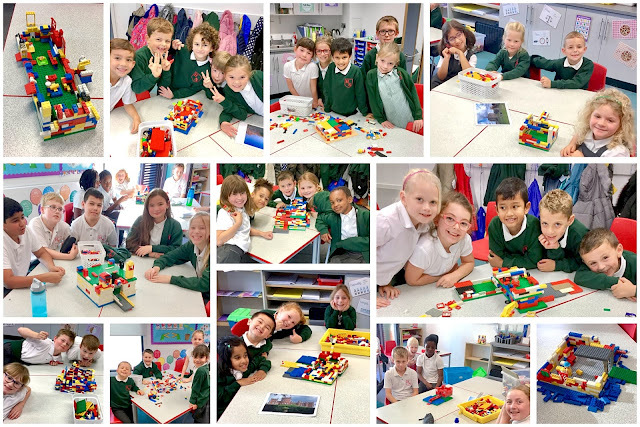 They had to identify parts of the castles - including the moat, battlements, arrow slits and drawbridge - before they were challenged to build their own castle using Lego. The features of a castle that had been discussed had to be included, but some children used their imagination to also include ornamental gardens, prisons, working doors and even a guillotine. Finally, the castles were judged based on effective team work and who had built the most authentic castle. British architects were celebrated in 6AM during Why Britain is Great week. Our pupils learnt about our country's diverse mix of historical and modern buildings before they embarked upon their very own construction project. The children had to combine their cutting, folding, twisting and rolling skills with their imagination to create the tallest tower and longest bridge possible, using only a single sheet of A4 paper. 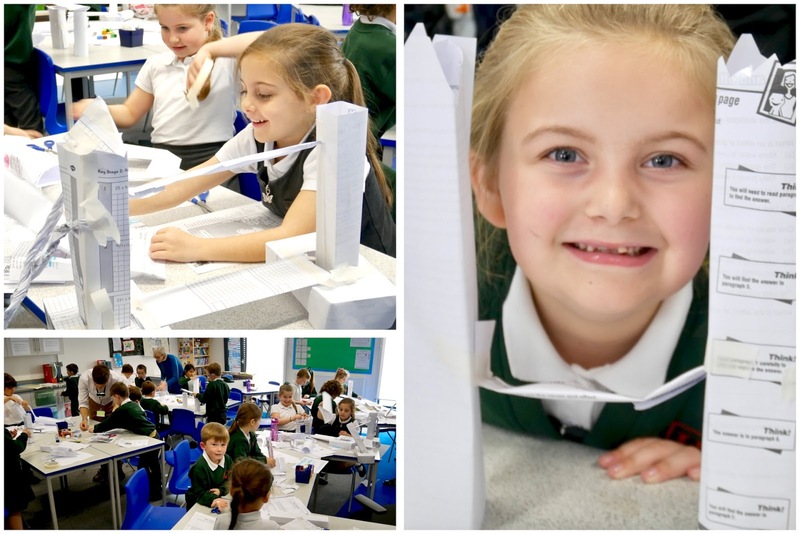 These skills were then put to the test: Key Stage 2 children worked in pairs to create a bridge capable of supporting a weight; Key Stage 1 children recreated Tower Bridge using paper, masking tape and glue sticks. Our amazing architects thoroughly enjoyed making structures inspired by iconic British buildings. They gained a deeper understanding of the requirements for designing a strong and effective building... and they were pleased to discover that our school is not made from paper and masking tape! From a malted milk to a chocolate bourbon, a custard cream to a ginger nut as a nation we love a biscuit with our cuppa! 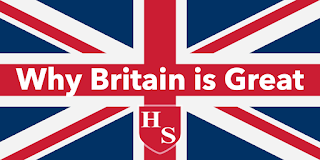 With this in mind, our 'What makes Britain Great' week began with excitement and cheers as our Hacton pupils took part in 'The Great British Biscuit Off!'. With their eyes tightly shut, children inhaled the sweet aroma of traditional British biscuits, felt their texture and then - the best part - took a bite. Our terrific testers correctly identified the British classics and even knew to remove the wrapper from a Tunnock's teacake with their eyes closed! On a dewy, sunny October morning, Year 5 began their scientific investigation into how the rotation of the Earth on its axis affects the sunlight it receives throughout a day. The experiment was set up bright and early. A cone and meter rule were place in the middle of the field. The shadow created by these was measured at intervals throughout the day and the position of the sun was noted. 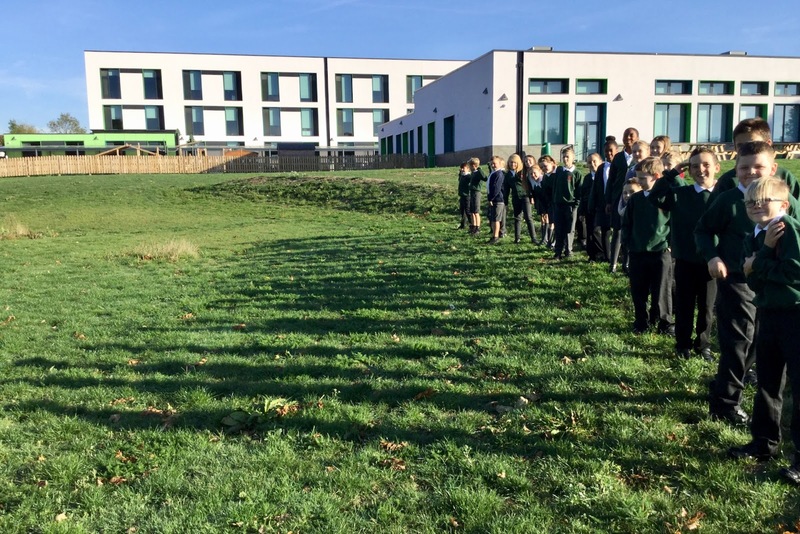 As the sun rose from behind the trees on Plumpton Avenue, Year 5 teachers took the first reading at 7.30 am and discovered that the shadow measured over 11 meters in length. At 9.15 am, the children took their first reading and noted how the sun had already moved in the sky. The experiment helped our super scientists understand that although the sun appeared to move in the sky, it was actually the Earth rotating towards the sun that created this effect. It also helped illustrate that the position of the sun in relation to the Earth has an effect on the length of shadows and also why we have a night and day. In Literacy, Year 1 have been studying 'We’re Going on a Bear Hunt'. They have used the story to describe a setting and sequence events. Children created their own version of the story and designed their own book cover to match. Stories ranged from an alien hunt to a unicorn hunt. This took them through Miss Blunt’s classroom that had mud (actually chocolate buttons) all over the tables. The bear hunt finished in the hall where the children discovered lots of teddies waiting for them to join a wonderful picnic. Mrs Murphy and Miss Meade took their P-HIC classes for an educational walk into Hornchurch town centre. The aim of the visit was to expand the children’s language and understanding of local amenities. They encountered local shopkeepers (the baker and the butcher) and withdrew some money from the bank to spend in the supermarket on a snack and some food for the ducks. The children particularly enjoyed a visit to Hornchurch fire station where they dressed up as firefighters and had the opportunity to use the hose. 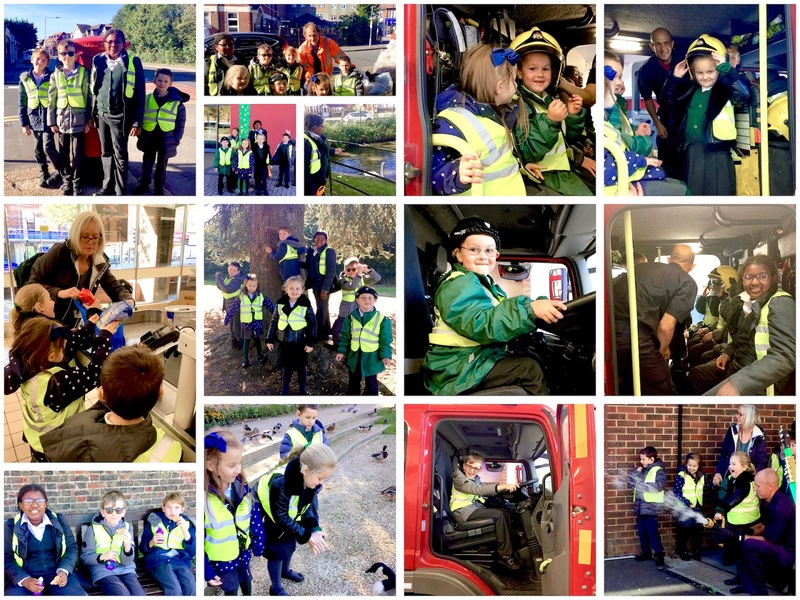 Our hearing impaired pupils met the street cleaner, the postwoman and lots of other friendly people around Hornchurch; people who help us in our daily lives and carry out essential work for our local community.